The little town of Tenno with his castle is founded in the middle age, one of the most lovely village of Trentino where rural houses are huddled together and joined by porticoes, halls, courtyards and ancient vaulted arches. The castle overlooks the ancient village of Frapporta and the little church of San Lorenzo, one of the most notable examples of Romanic art in the Trentino region. 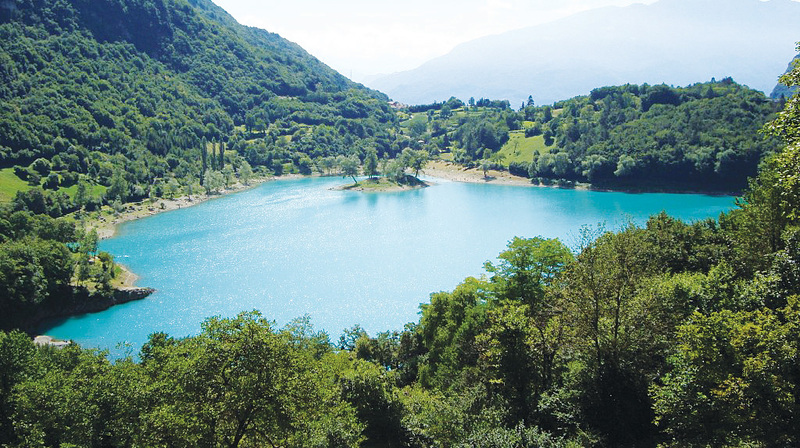 Tenno is only 2 Km from the lake Tenno, one of the most cleanest stretch of water in Trentino, characterized by its intense turquoise colour and small islet. 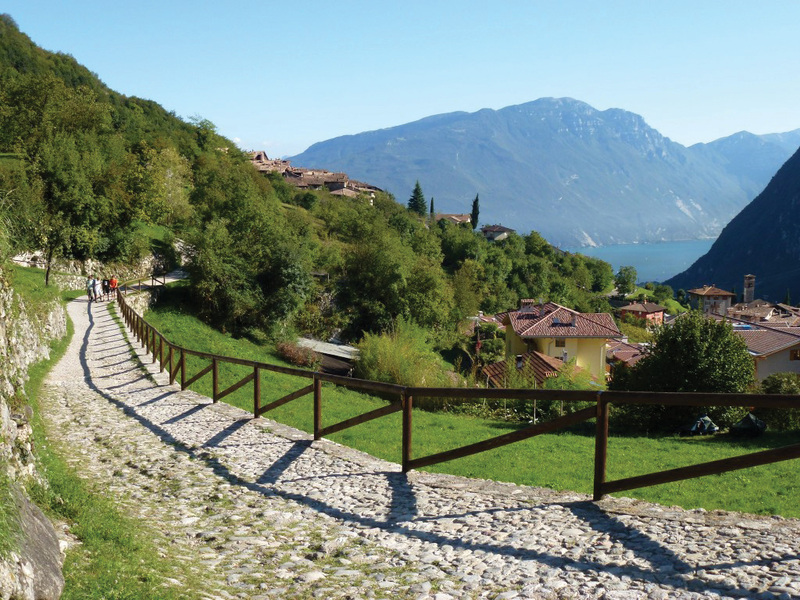 From here you can walk throw wonderful paths always with a wonderful view to Riva del Garda, Arco, the lake Garda and behind it the imposing mountains. You can also do mountain bike and nordic walking, swimming and fishing in the little lake of Tenno, 2 Km far away, it is characterize for his turquoise color. with its crystal clear water and uncontaminated surroundings, is an island of tranquillity, and ideal for swimming. 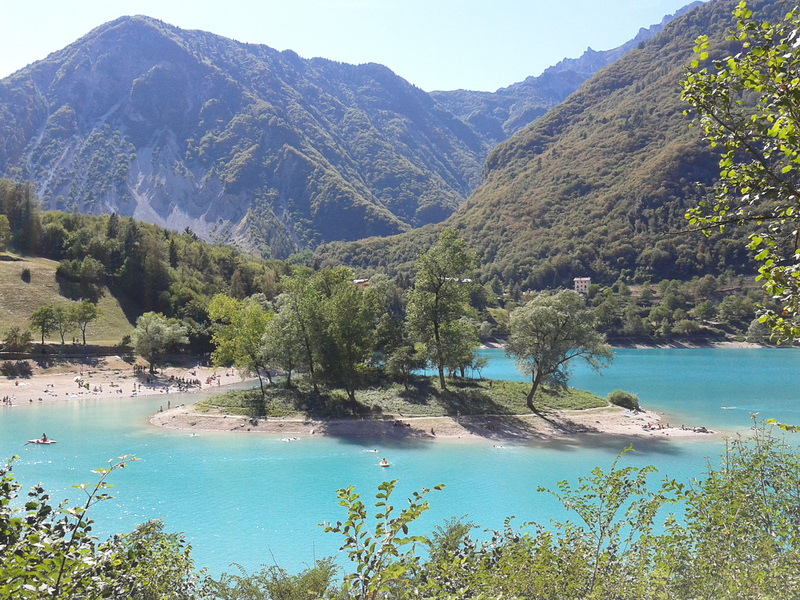 It is called “the blue lake” because the surrounding forests and the white stones of its bed give it a blue-green hue. The Tenno lake can be reached only on foot, after a short walk down a flight of steps dating back from medieval times. And if you need only relax this is the best place to enjoy the colors of the nature! 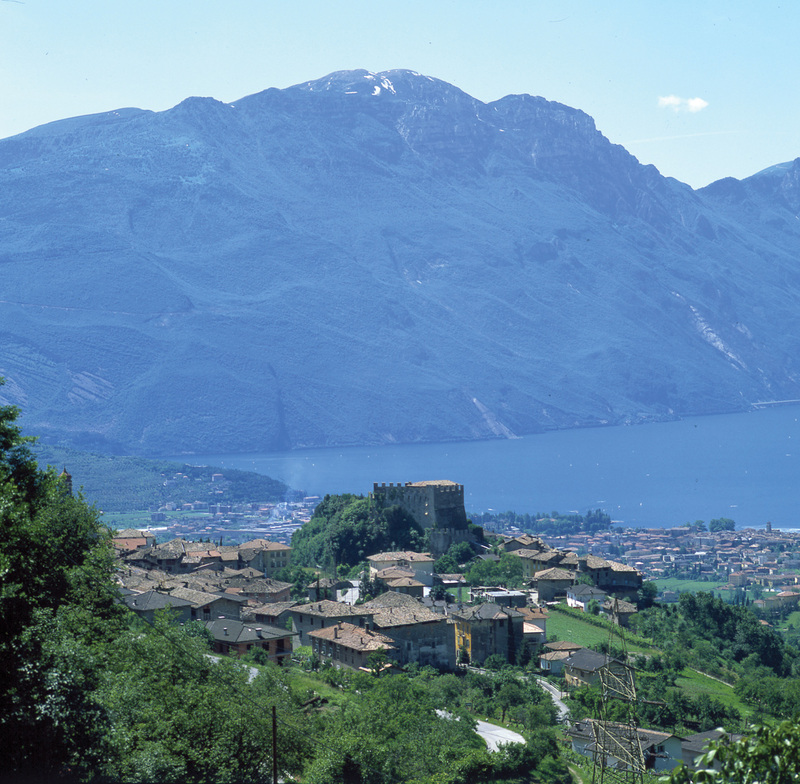 Tenno is only 5 Km from Riva del Garda and the lake Garda, where you can practise water sports like windsurfing and sailing. 5 Km there is Arco very important for free climbing and mountain climbing. Other sposts like horse riding, paragliding, canyoning, trekking are possible to do. 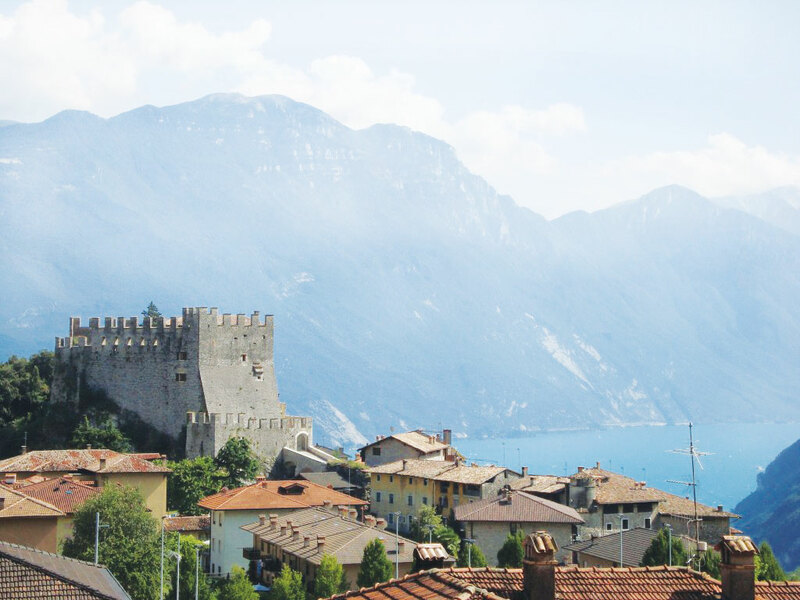 To visit there some little town like Canale, declared one of the most beautiful village of Italy, a precious mountain village immersed in the soft Mediterranean atmosphere of Lake Garda. The Casa degli Artisti (Home of the Artists), dedicated to the artist Giacomo Vittone, has its seat here and is a residence and meeting place for artists from whole Europe. 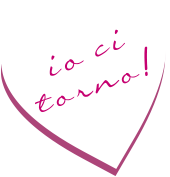 We’re also close to: the water fall of Varone and the lake of Ledro.